Last Sunday we saw what we can do with the MERGE statement and OUTPUT clause. Today I want to show you the practical angle of this feature. 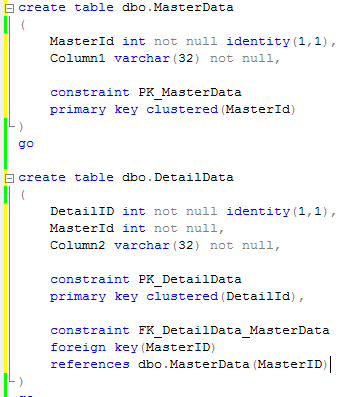 Let’s assume you want to insert packet of master/detail rows in the situation when Master table has ID as identity field. 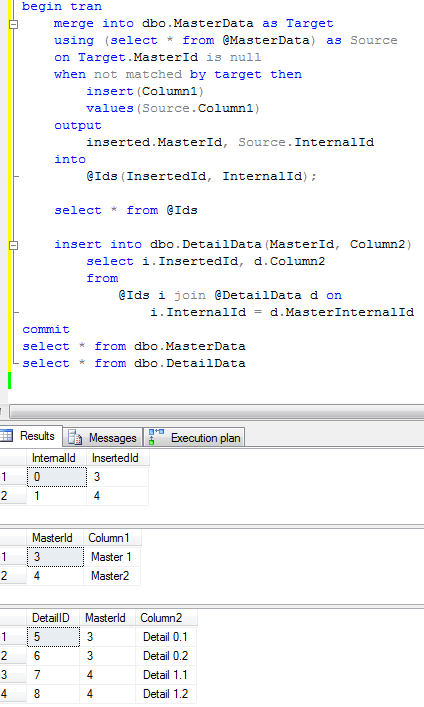 Next, you need to insert the data to the master table with the MERGE operator and get both – internal ID and inserted (identity) ID from the packet. 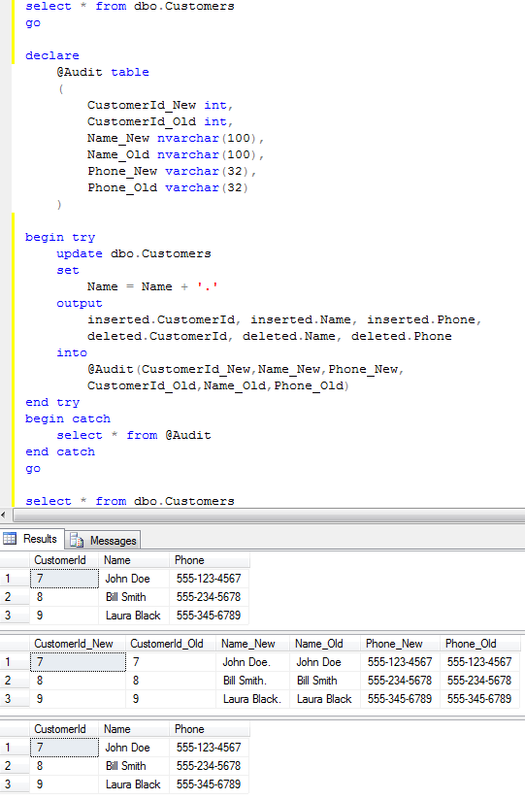 After that you can use simple insert statement. 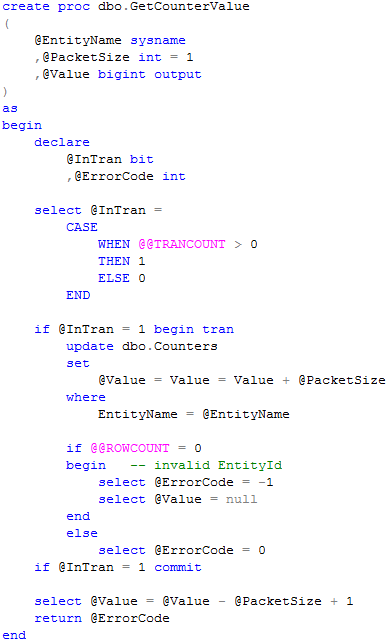 This entry was posted in SQL Server 2008, T-SQL on October 31, 2010 by Dmitri Korotkevitch. 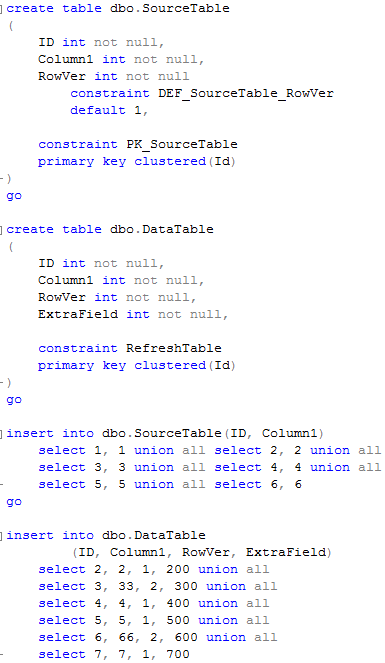 In about a months ago we found that SQL Server does not use non-clustered non-covered indexes in the case, if it expects that it will need to perform the key lookup for more than a few percent of the total table rows. The cost of key lookup is really high, this is random IO operations so it’s cheaper to use the clustered index or table scan instead. 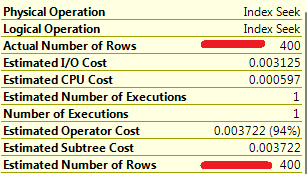 The main question is how SQL Server estimates how many rows would be returned. Obviously if you have unique index and equal predicate, the answer is simple. But what about the other cases? 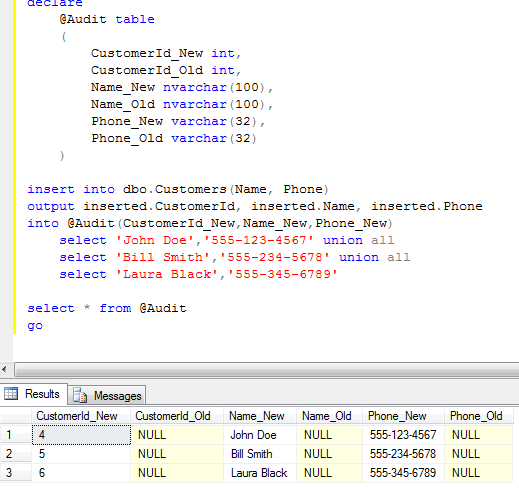 In order to be able to do the estimation, SQL Server maintains the statistics on the indexes and database columns. 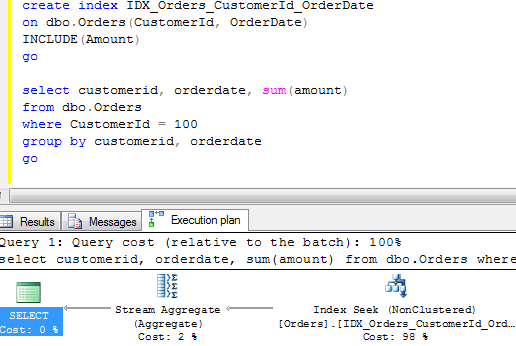 Good and up to date statistics allow Query Optimizer to assess the cost of the various execution plans and choose the least expensive one. Let’s take a look at the statistics in more details. First, let’s create a table, populate it with some data and create the index on this table. As you can see the index has the values evenly distributed between 0 and 999. Second, let’s refresh the statistics (we technically don’t need to do that) and call the dbcc_showstatistics stored procedure. This procedure returns 3 result sets. Is this the string index? 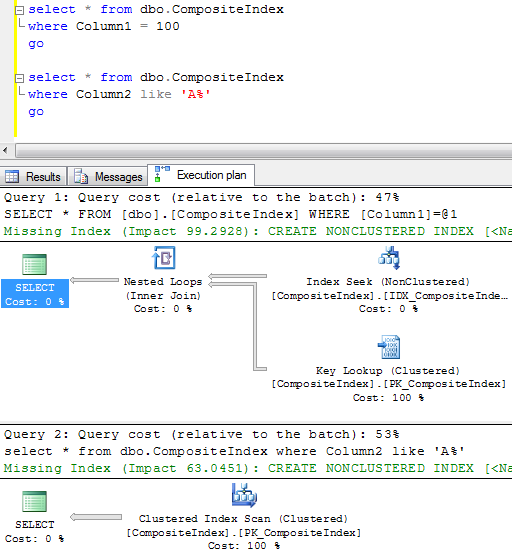 Is this the filtered index (in SQL 2008 only). The 2 most important columns are: what is the time of the last statistics update and how many columns were sampled. The first one shows how up-to-date is the statistics and the second one how full or accurate is the statistics. The last one is interesting. On one hand we don’t want to scan entire (large) table/index for the statistics creation. On other hand we would like to have an accurate statistics. So if data is distributed evenly, the partial scan would work just fine. In other cases it could introduce performance issues during uneven data distribution. One of the examples of such case is the hosting solution where one huge table stored the data for the multiple customers/accounts. Small account obviously has less data than large account. So plan that could be effective in one case could introduce the issues in another. Let’s look at the second result set. This result set shows the density (1.0 / # of unique values) and the length for the combination of the keys in the composite indexes. Don’t forget that technically every non-clustered index is the composite one – the leaf row (and non-leaf rows for non-unique indexes) includes clustered key values. The last result set is the most interesting one. It calls the histogram and shows the actual distribution of the data. As the side note – only leftmost column values are included there. Let’s see what SQL Server does in such case. The set of the values are within the step with Range_Hi_Key = 13. There are 500 rows in the step, 5 distinct values and 100 rows per value. 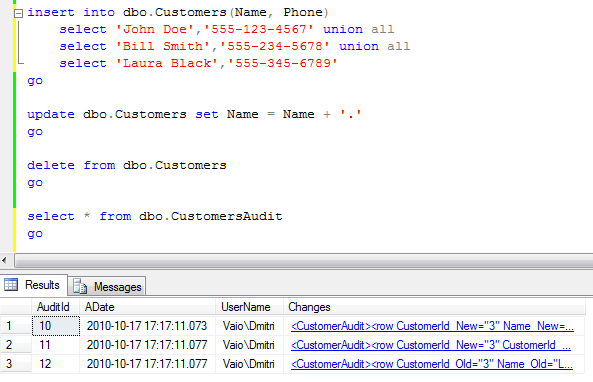 Assuming that data is distributed evenly, SQL Server estimates 400 rows to be returned. That matches the actual number of the rows. So comparison between Estimated # of Rows and Actual # of rows is one of the first things need to be done during troubleshooting of inefficient plans. It’s completely OK if values are slightly off – for example estimated # = 400 and actual # = 1000, although if the difference is really big most likely there are some problems with the statistics. This entry was posted in General on October 27, 2010 by Dmitri Korotkevitch. Last Sunday we saw how we can intercept new and old values from the row during insert/update/delete operations with OUTPUT clause. Even if it’s very powerful mechanism, there is one very important limitation. You can intercept only values from the row of the table that gets updated. you can intercept the values from DestTable rows but you cannot get any values from SourceTable rows. 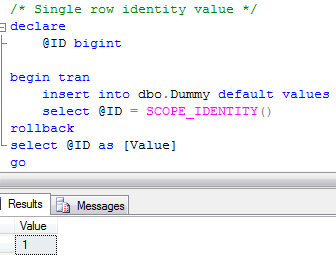 In SQL Server 2005 you’re stuck. 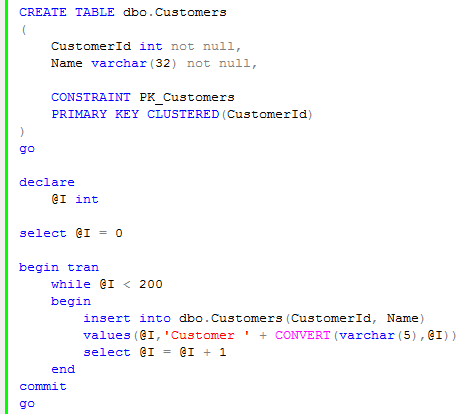 Fortunately SQL Server 2008 has the solution for that problem – Merge operator. So Refresh process should delete row with ID = 1 from the SourceTable, insert row with ID = 7 and update rows with ID = 3 and 6. As you can see it works. But there are 3 statements. Longer locking, side effects based on the isolation levels, etc etc etc. It’s not only allowing you to capture old and new version of the row, it also allows to capture ACTION and the field from the Source (DataTable). The last one cannot be done with the regular insert/update/delete statements. We will see what benefits will it give us next Sunday. 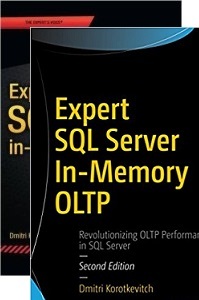 This entry was posted in SQL Server 2008, T-SQL on October 24, 2010 by Dmitri Korotkevitch. 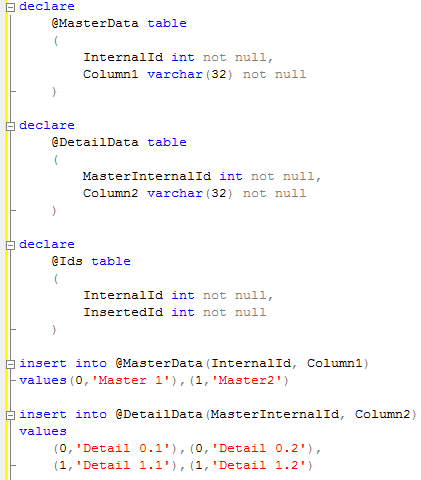 Last time we defined when single column index can be used for the index SEEKs. Now let’s talk about composite indexes. Obviously, the first, and most important question – when composite index can be used for the SEEK operations. Let’s take a look at the example. 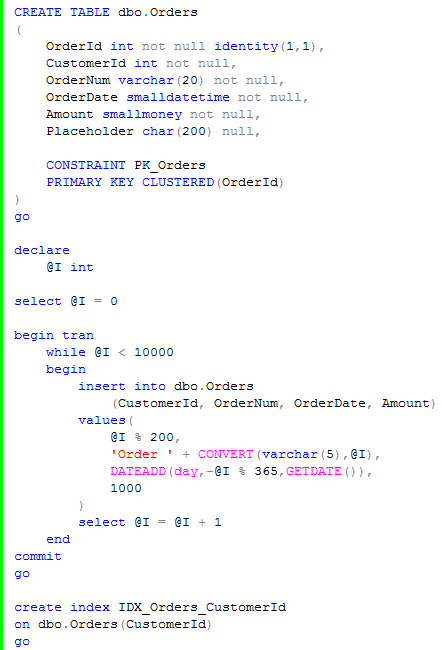 Let’s create the table with 250,000 rows and create composite index on such table. 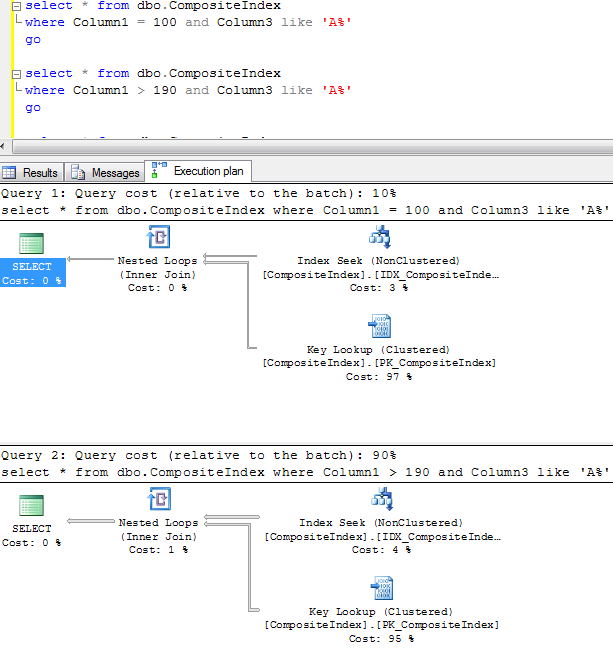 As you can see, SQL Server uses index seek each time when predicate on the Column1 (leftmost column) is SARG. 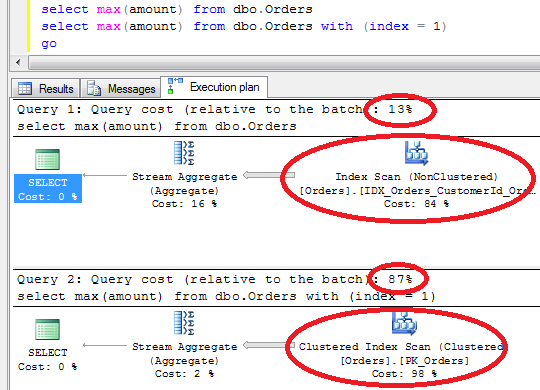 The last select where we don’t have the predicate on this column produces the clustered index scan. So it’s that simple – composite index can be used for the index SEEK as long as predicates on the index leftmost columns are SARG. Well, in real life it’s a little bit more complicated – you should not forget about really small threshold for non-clustered index usage. 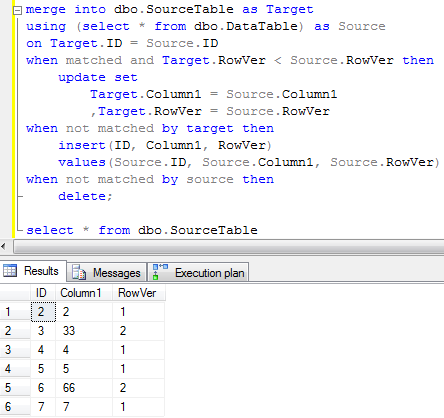 If SQL Server expects that iterator returns more than a few % of total table rows, index would not be used. This leads us to quite interesting conclusion. If you have an index on (Column1, Column3), you don’t need to have the separate index on (Column1). Granted, seeks on the second single-column index would be faster because of the smaller row size, but performance benefits you gain in most part of the cases do not worth the price of the index maintenance. 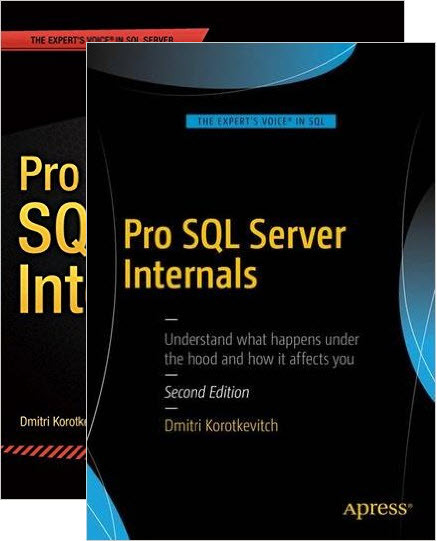 This entry was posted in General, SQL Server 2005, SQL Server 2008 on October 20, 2010 by Dmitri Korotkevitch. 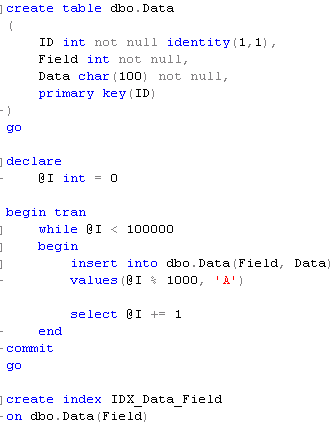 During the next a few Sundays I’m planning to talk about one of the under-appreciated constructs in T-SQL – OUTPUT clause. This clause can help you a lot when you need to develop set-based code or convert old cursor-based code into the set operations. 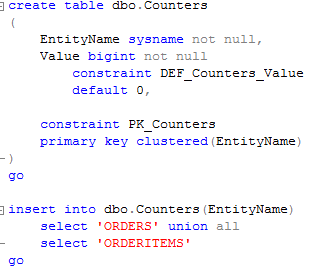 Output clause works together with inserted and deleted system tables. Every developer who wrote at least one DML Trigger familiar with those tables. 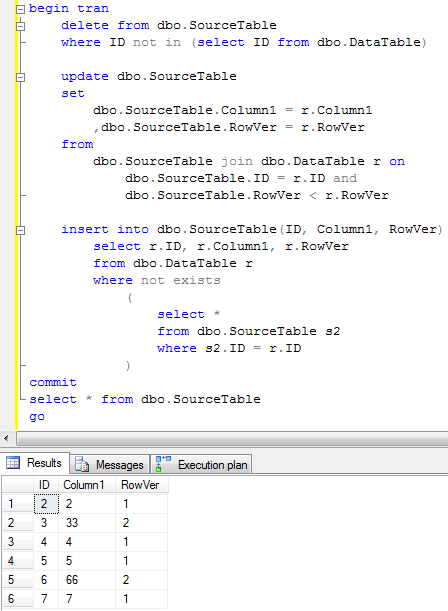 Those are 2 tables that SQL Server populates and manages automatically. Inserted table contains the new version of the row values. Deleted tables contains the old version of the row values. 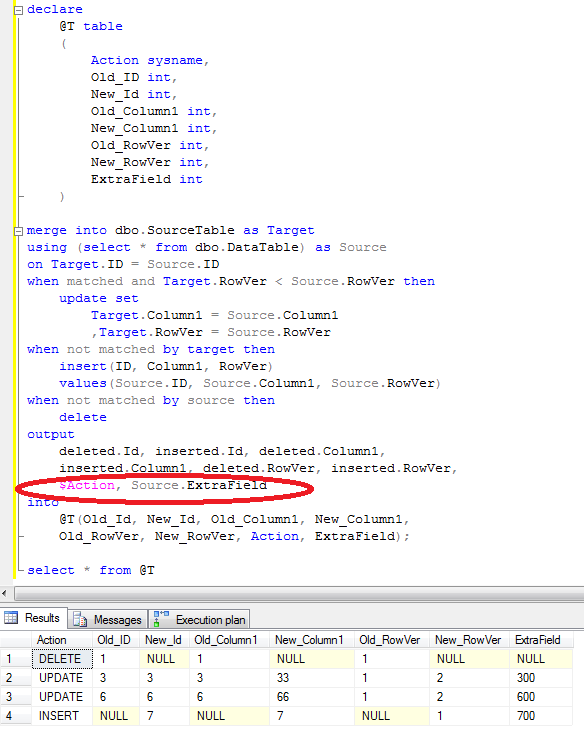 As you understand inserted table has the data during insert and update operations. Deleted table has the data during update and delete operations. Now let’s test the solution. As you can see – you have access to generated identity values. You can see that it works the same way with updates and deletes. 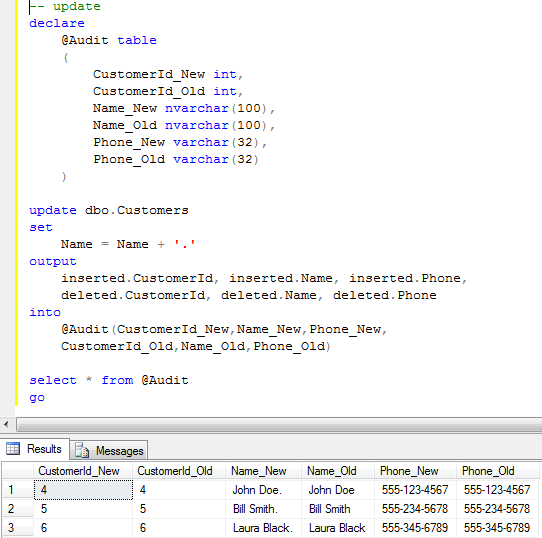 As you can see – statement is rolled back – the data has not been changed in the original table but deleted/inserted table were created and populated. Output clause also worked. 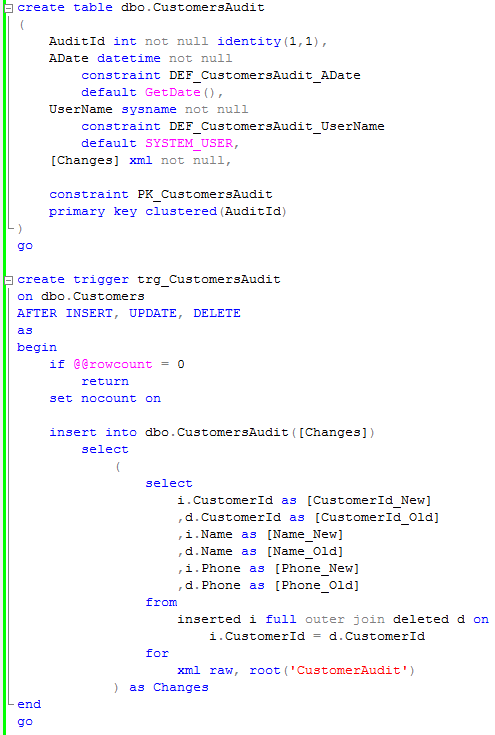 Such behavior opens the door to the interesting possibilities, for example audit on rollback. You can download the script from here. 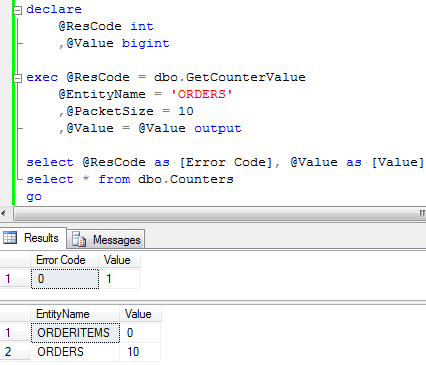 Next Sunday we will talk about OUTPUT clause with MERGE statement. This combination is much more powerful than OUTPUT with insert/update/delete. This entry was posted in SQL Server 2005, SQL Server 2008, T-SQL on October 17, 2010 by Dmitri Korotkevitch. I’m going to speak on SQL Saturday #49 this Saturday (10/16/2010) in Orlando. 1 session this time – “Locking and Blocking for Developers”. This is revised version of the presentation I did in Miami – I will put more details to resource waits and bottleneck troubleshooting. Please stop by if you’re planning to attend. This entry was posted in Announcements on October 14, 2010 by Dmitri Korotkevitch. Both operations utilize the indexes. But what is the difference? Scan operator (on clustered or non-clustered indexes) scans entire index – all data pages and all rows and applies the predicate on every row. Seek operator “process” only subset of the rows in the index (0..N) – only rows that qualifies. Now let’s run the select. Now let’s create the index on ADate column. 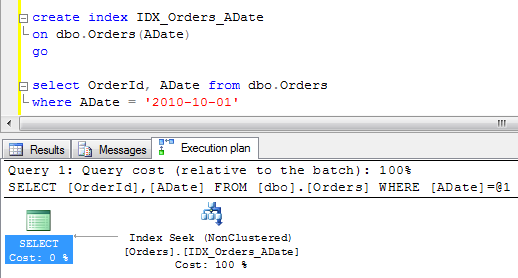 Seek operation does not require to process entire index (rows there are sorted already), so SQL Server finds the first row with ADate = ‘2010-10-01’ and processes the rows until ADate reaches ‘2010-10-02’ and stops. 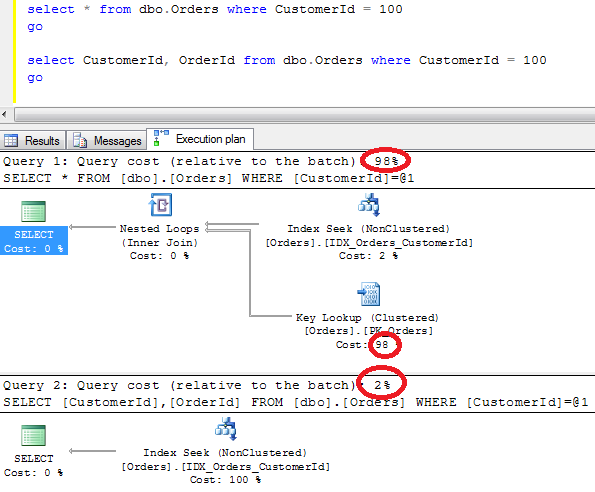 Basically predicate is seekable if Query Optimizer can map it to the subset of the rows in the index. VarcharField like '%A%' – here you’re out of luck. This entry was posted in General on October 13, 2010 by Dmitri Korotkevitch. Let’s see it in the example. This will use the orders table created earlier (code can be downloaded from here). Assuming we want to return the result set that returns 2 most recent orders per customer. Let’s create inline table-valued functions which can do that. 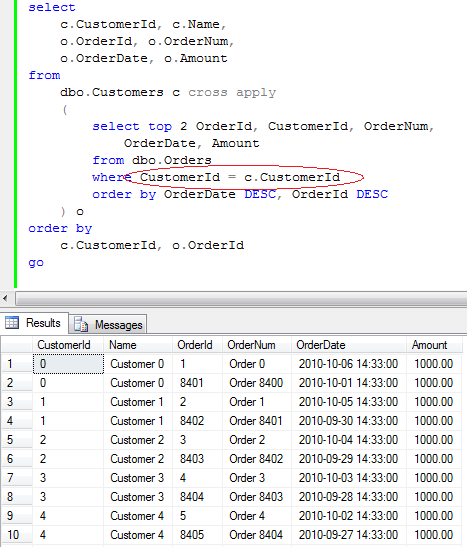 Now let’s write select with cross apply – again think about it as about inner join that joins customer data (source) with 2 rows per customer produced per table-valued function. 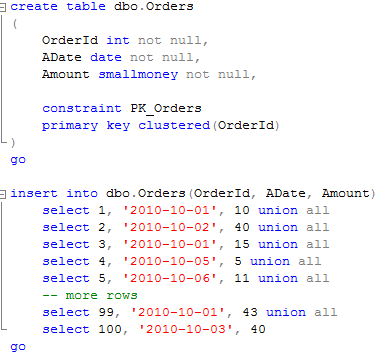 This entry was posted in SQL Server 2005, SQL Server 2008, T-SQL on October 10, 2010 by Dmitri Korotkevitch. We already know the structure of the clustered and non-clustered indexes. 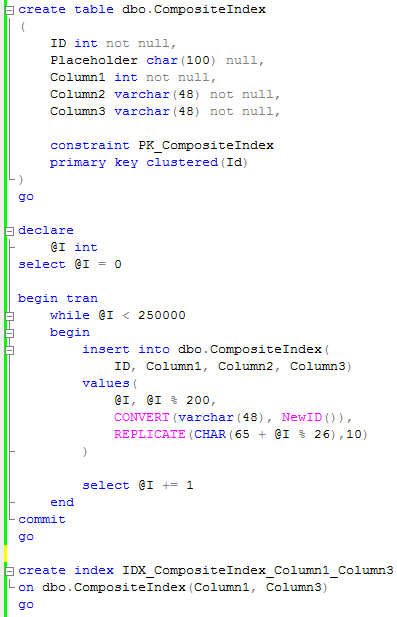 We also know what is the main criteria for SQL Server to use non-clustered index. Today I want to talk about covering indexes technique. Let’s start with the definition. Covering index for the query is the index that has all required values in the index leaf rows and as result does not require key/bookmark lookup of the actual table data. 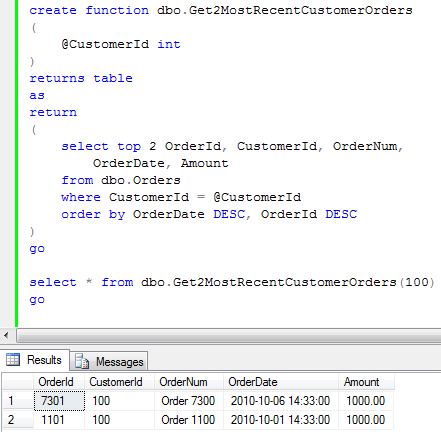 Now let’s try to run 2 selects – one that return all columns for the customer with id = 100 and second one that returns customerid and orderid only. 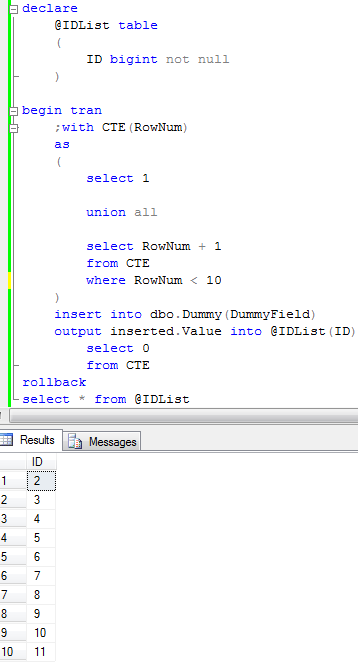 As you can see, the first select produces the plan with index seek and key lookup. The second one does not do the key lookup at all. Remember, non-clustered index has the values from the clustered index in the rows so OrderId is there. No needs for the key lookup. 2 Other things I would like to mention. First, you can see that cost of key lookup is 98% of the cost of the first select. Another thing that second select is about 50 times less expensive than the first one. 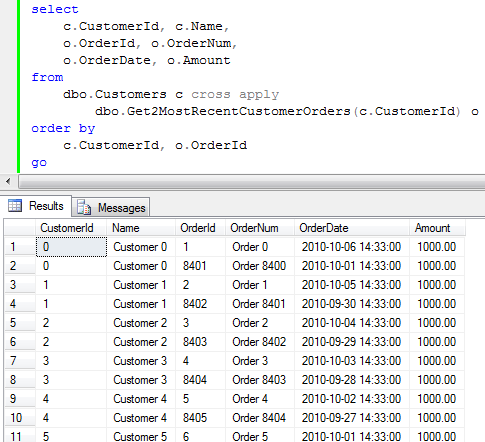 What should we do if our typical select requires to get a total amount of the orders placed by the customer grouped by date. 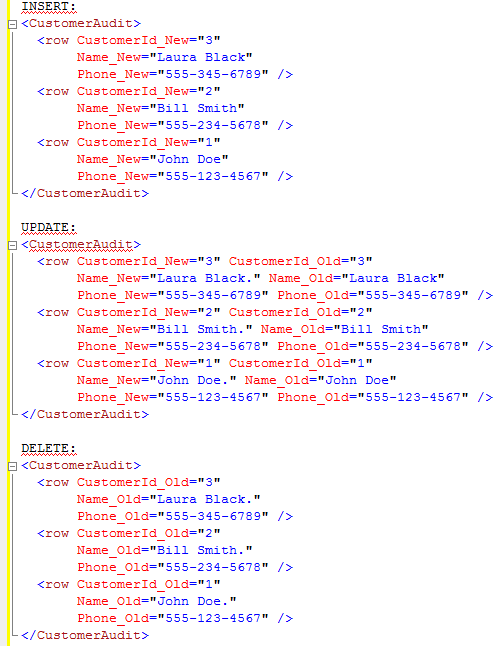 Obviously we’re filtering (or grouping) by customerid and date in such case. We don’t really need to have amount as additional column in the index because we’re not using it in the predicated. 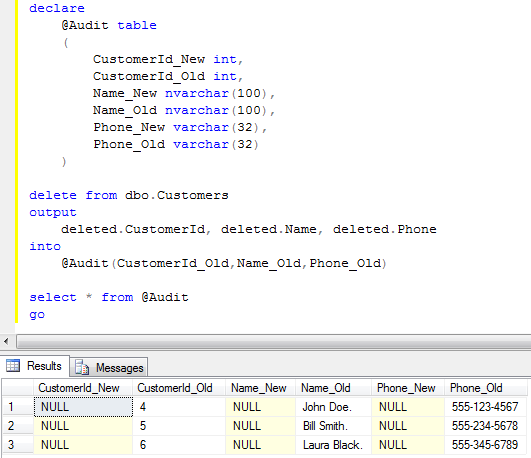 Fortunately SQL Server has a way to add other columns and store it in the index leaf. You can do it with INCLUDE cause of the CREATE INDEX statement. Below is the picture which show the structure of this index (on some of abstract tables). Click here to open it in the new window. Plan is index seek, key lookup and next grouping. As you can see it produces 114 logical reads. Now let’s create the index and run select one more time. Simple index seek with 2 reads. Great improvement. Last example I want to show you – let’s try to select max order amount. This is one of the easiest optimization techniques you can use in the system – illuminating key lookup with the covering index. One warning though – extra included columns in the index increase the leaf size, so index will require more pages and be less efficient. So don’t make it extremely wide. 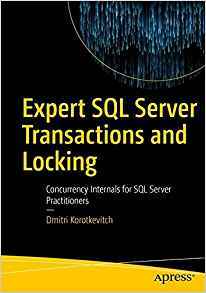 This entry was posted in General, SQL Server 2005, SQL Server 2008 on October 6, 2010 by Dmitri Korotkevitch. There are some cases when you don’t want to create physical identity column in the table and want to generate the similar value manually. There are a few methods how to do that. Let’s look at 2 of them. The beauty of this method is the locking – update statement places the exclusive lock on the row so until transaction is active, no other sessions would be able to update the same row. Be careful though with SNAPSHOT isolation level – it would produce an exception during simultaneous access rather than serialize the access. Obviously this method would not protect from the gaps in the values. This entry was posted in SQL Server 2005, SQL Server 2008, T-SQL on October 3, 2010 by Dmitri Korotkevitch.